It’s more than tempting to try and always keep up with the latest hardware releases that can make your rig bigger, faster, and stronger but with a few small tweaks you can save yourself quite a bit of money with your gaming PC build. In this article we’ll give you tips and a list of top rated hardware that we would pick for a value gaming PC build that we’ll try to keep at right around $1,000. There are some components we try not to skimp on. Your GPU is possibly the most important component when determining what games you will be able to play and at what settings you’ll be able to play them at. We generally recommend that value builders pick a graphics card in the $200-300 range. Staying in that range will not only allow you to play all of your favorite games (most likely at the highest settings), you can also put away the money you save in order to upgrade in 12-18 months. 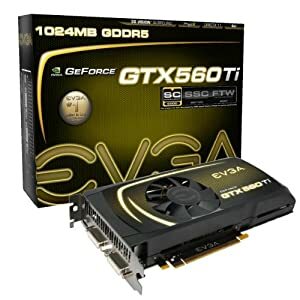 Since gaming GPU are always evolving if you’re on a budget, then it’s a good idea to upgrade more often rather than buying the “latest and greatest”. Perhaps the area you can save the most money is with your CPU. 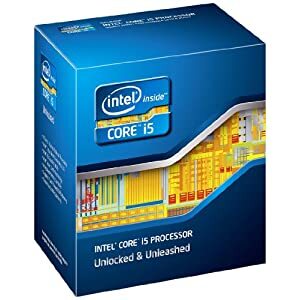 While it would be nice to have the new i7-2600k from Intel, you can save a lot of money by going with the i5-2500k or even the 2500 if you don’t plan to overclock. The i5-2500k gives you 4 core performance with overclock speeds in excess of 4GHz. Although it doesn’t have hyperthreading this shouldn’t be that big of a deal for gaming. If $200 is too much, try the i3-540. 2 Cores, Hyperthreading, and 3.06GHz speed will still give you most of what you need for high performance gaming. AMD fans may consider the Phenom II X4 955 Black Edition or the Phenom II X6 1100T or at this point wait for AMD’s Bulldozer release. AMD fans should at this point make sure to get a AM3+ or AM3+ ready motherboard. Our choice: The Gigabyte 990FX + SB950 GA-990FXA-UD5 Motherboard. If you plan on using a solid state drive, then consider Kingston’s 64GB SSDNow series which would give you the maximum amount cache for Intel Smart Response Technology at right around $100. Although extra power is good you should be fine with a PSU that is 650 Watts. Consider the Corsair Enthusiast Series 650-Watt PSU. For ram we’ll go with 8GB of Corsair’s XMS3. Make sure to get all 8 GB at once to take advantage of the dual channel performance. A lot of gamers are jumping out to purchase the latest Sata III HDD. You can save yourself a lot of money by sticking with a solid 7200 RPM HDD. Because HDD speeds can not even exceed Sata 2 (3Gb/s) speeds there’s no real need to upgrade immediately to the more expensive Sata III hard drives. If you want faster hard drive performance without having to get a separate SSD, you could consider the Seagate Momentus Hybrid Drive. This is especially important if you store a lot of games or data on your hard drive. Summary: Overall we’ve laid out a map to have a solid value (around) $1,000 gaming PC build. What would you change? Let us know by leaving a comment below. We actively respond to comments and suggestions.